About a month after my husband and I were married we attended Dave Ramsey's Financial Peace University. A small group from our church watched the videos together and discussed them. And I would love to say that we actually listened to good ol' Dave from the beginning of our marriage... but we didn't. Sure we tried to get an emergency fund, but we kept the credit card debt that I brought into the marriage from the lovely trips I'd taken as a single lady and the HUGE debt from buying a new Jeep- the vehicle I had always wanted- even though the Tracker I had was paid off and had had NO problems. 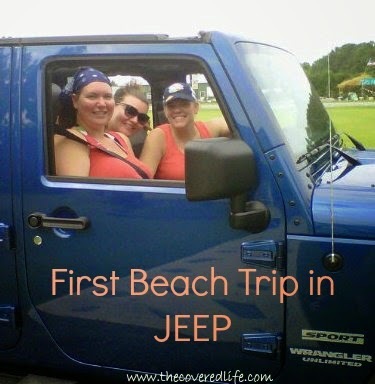 BUT, hindsight is 20/20 as they say, and had I known that I was going to be getting married within a year, I probably wouldn't have bought the Jeep. And I would have paid more on my credit card and stopped using it. 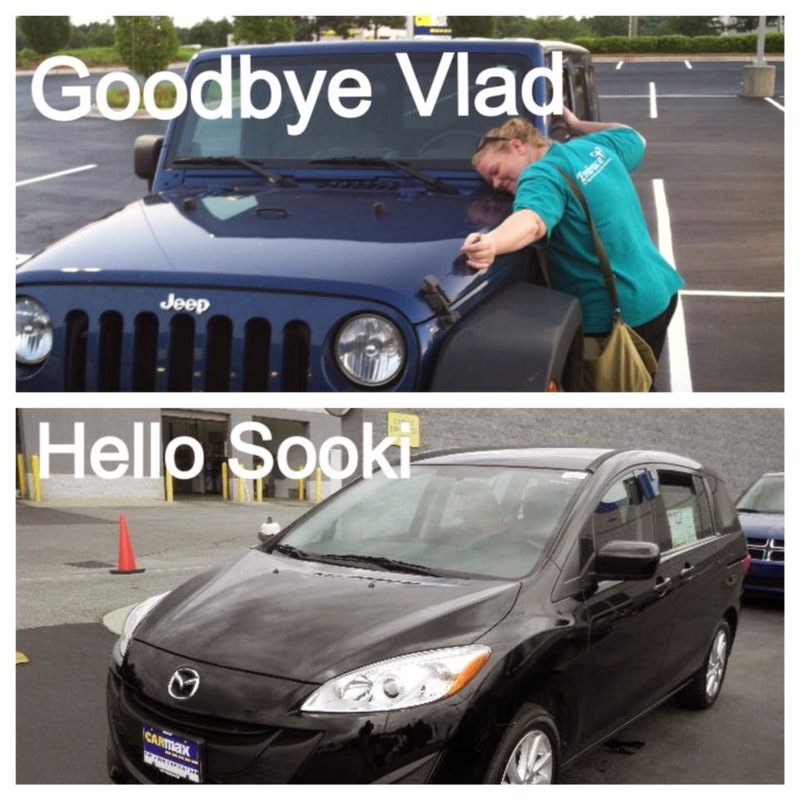 Last year, we did get rid of the Jeep (and I cried) but it really was the best thing. We aren't any less in debt, but the payments are less and it's better on gas, newer (by 2 years) and less miles-- a deal we thought and still think is pretty good. Our time is pretty limited and our schedules are busy, but I know of several wonderful ladies who are involved in direct sales companies like Scentsy, Thirty-One, Mary Kay, etc on top of their full time jobs and their jobs as wives and mothers who are making some profit. I wanted something that wouldn't take too much time away from my family and something that would be fun. I don't mind talking in front of groups, so I figured parties wouldn't be a problem. But space is pretty limited at our house, so I wanted something that I didn't have to keep much inventory in and above all, I wanted to make sure this was something that God was leading us toward. So after much prayer and consideration I thought of Jamberry. Then I talked to my husband and we prayed. Then I talked to a friend who is a consultant with them and asked many questions and looked up info online and I prayed. Then I hosted a Facebook party and prayed some more and then finally we decided that God wasn't closing the door on this and we could proceed, so I used my hostess rewards from the party to reduce the cost of my starter kit and now I am an Independent Consultant for Jamberry! In my last post, I mentioned that there was a new development for our family that I wanted to share and that is it. These are a couple of wraps that I have used this summer- Little Patriot and Watermelon Tip (Short). The only reason I gave a teaser and didn't share it in that post was because I wanted to write this post- haha-- because I wanted to give you all the information in one place! So for some of you, the first question you have is, what is Jamberry? Well, they are a Direct Sales company that specialize in nails and nail care products. 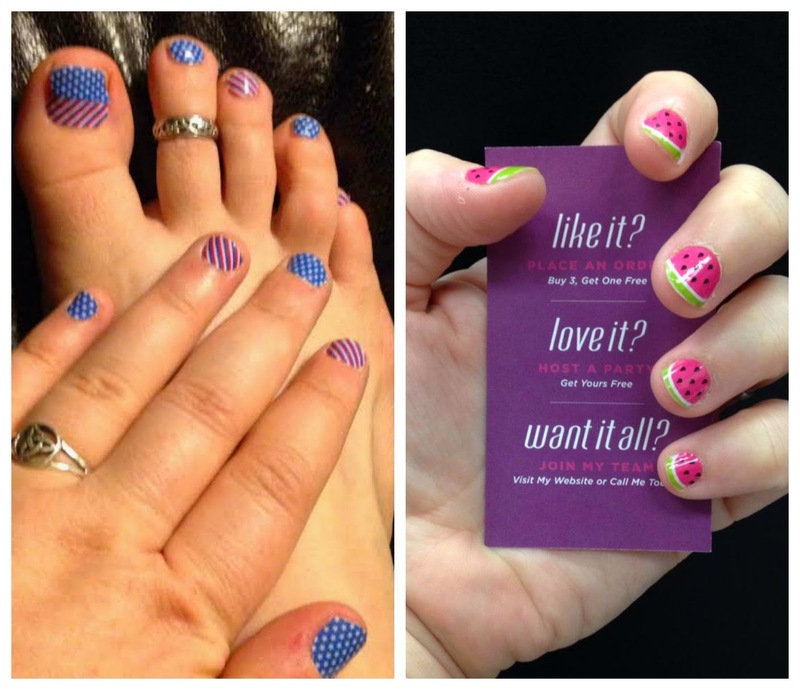 The main item that is associated with Jamberry are their nail wraps. The wraps are made in the US, they are non-toxic, latex free solid film coverings that are applied directly to the nail using both heat and pressure. In addition to the nail wraps, they also have nail lacquers (that are like polish but are free from the toxic chemicals that regular polishes have), hand and nail lotions, application kits, and heaters to make the application process easier. You can host in home or Facebook parties; mix and match the different styles thanks to Buy 3 get 1 free option(Lavender Sparkle, Emerald Palm, Teal Sparkle) ; and they have Jamberry Juniors for the little girls! 2- There is a market for it. Where I live most people don't know about Jamberry at all, so there are all new people to share them with! 3-Because I LOVE having my nails covered! I keep something on my toes year round. I know no one but my husband and I see my toes in the winter, but it makes me feel pretty when my toes are pretty! And the reason I love Jamberry is because I don't have to constantly do touch-ups, the wraps last over a month on my toes. And I am I am horrible at applying polish which is why I never have my fingernails done but I love the Jamberry wraps on my fingers because when I have them on- I don't bite my nails! It is a horrible habit that I have had for as long as I can remember and polish has never kept me from biting them, but the wraps do! Plus, one sheet of nail wraps is much cheaper than going to a salon (hello trying to get out of debt)! And another great feature of Jamberry is even though they have over 300 different designs (and yes solid colors too, for those like my mom) you can go into their Nail Art Studio and design your own. 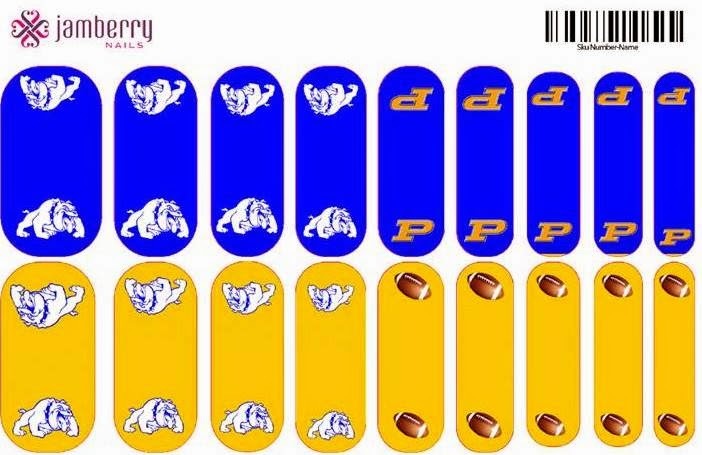 I designed these to wear during Football season to support my hubs! 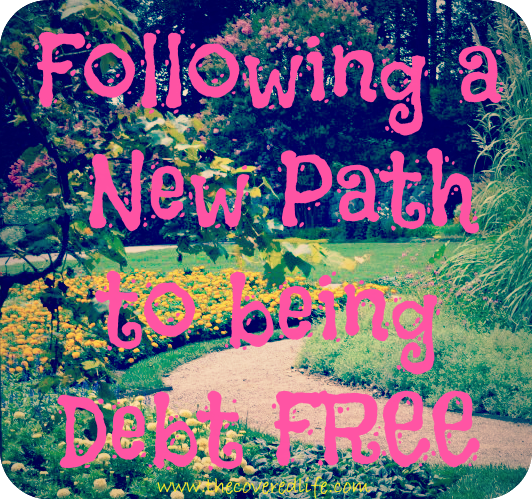 So there you have it- the new path that the Tamer family is walking so we can one day be in the land of Debt Free! You can read Part 2 of our debt story here. What are some tips/resources that you have used to get out of debt? Or what are some questions you may have about saving money, debt, coupon-ing, etc? I'd love to know so I can get that information together for the next post. If you have any questions about Jamberry or debt, or thoughts you would like to share feel free to leave a comment or send me an email coveredlifeblog@gmail.com.